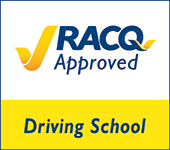 To obtain a driver’s licence in Queensland you must pass a road rules test. (A book of road rules is available from your nearest Queensland Transport Customer Service Centre). When you pass the written test you are issued with a Learner’s Licence. If you are 25 or under you will also be issued with a 100 hour logbook from Queensland Transport. Once you have obtained a Learner’s Licence you can begin having structured driving lessons with PACIFIC DRIVING SCHOOL. For more details about obtaining a Driver’s Licence in Queensland, follow this link to QUEENSLAND TRANSPORT WEBSITE .